I have taken up as the President of the Asian Pacific Society of Nephrology for about two years and would like to share with you the latest progress and development of the Society. The Asian Pacific Congress of Nephrology (APCN) 2018 was held in Beijing from March 27-31, 2018. CSN organised together with APSN on this landmark event which had over11,000 participants, the biggest meeting of APCN to date. We had 4 plenary lectures, 30 simultaneous symposia with 90 lectures and 6 pre- course sessions with 18 lectures delivered by over 75 speakers around Asian Pacific region and globally. We had received 3,077 abstracts out of which 865 were English and 2212 were Chinese. I congratulate and thank the hard work of Prof Xueqing Yu as the Chair of the local organising committee, Prof CC Szeto and Prof Rob Walker as the APSN Co-Chairs together with Prof Fanfan Hou and Prof Xiangmei Chen as CSN Co-Chairs for the Scientific Programme Committee. The first Hai-Yan Wang Lecture was delivered during this Congress by Prof Minghui Zhao from Beijing. Prof Visith Sitprija from Thailand received the 2018 APSN Oshima Award. In 2018, we have held two Executive and Council Meetings in Beijing and in San Diego respectively. Good discussions on the current operations and directions of the Society were made. APSN welcomes two new Sponsoring Societies: Nephrology Society of Thailand and the Indian Society of Nephrology. Altogether there are now 8 Sponsoring Societies: Australian New Zealand Society of Nephrology (ANZSN), Chinese Society of Nephrology (CSN), Hong Kong Society of Nephrology (HKSN), Indian Society of Nephrology, Japanese Society of Nephrology (JSN), Korean Society of Nephrology (KSN), Taiwan Society of Nephrology (TSN) and Nephrology Society of Thailand (NST). These Societies contribute annually financial support to APSN and also have representations in the APSN Executive Committee. The Chair of CME Committee is Prof Xueqing Yu and the Co-Chair is A/Prof Katherine Barraclough. We had altogether 5 APSN CME co-organised with 5 Societies in 2018. APSN and host Societies supported participants from Lower Income Countries (LIC) and the Lower Middle Income Countries (LMIC) through grants for joining these CME activities. At the same time, we recognised the training needs of young fellows from High Income Countries (HIC) and encouraged academic exchange among young fellows across the whole Asian Pacific region. Thus the APSN CME programmes also supported a small number of young fellows of HIC joining these activities. In APCN Beijing in March 2018, CME courses were also held. 1,790 young nephrologists, nurses and researchers from Asian Pacific region attended this course, including 31 young nephrologists supported by CSN and APSN. Five courses and 50 lectures were presented, among which 3 courses were in English (renal nursing course, diabetic kidney disease and methodology of renal research) and 2 were in Chinese (basic research in nephrology and clinical nephrology). 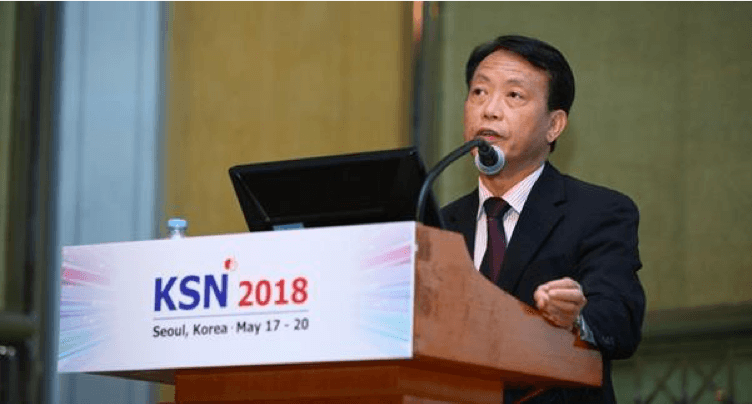 On May 17, 2018, APSN organised the first CME with Korean Society of Nephrology (KSN) in Seoul. 80 nephrologists, including young doctors from 6 countries from the Asia Pacific Region attended CME (China, Japan, India, Malaysia, Pakistan and Sri Lanka). The topics of this course include IgA nephropathy, management of diabetic nephropathy, drug induced kidney injury, biomarkers of AKI, dialysis modality selection, prevention and management of PD-related peritonitis, evaluation and care of living kidney donors and transplantation immunology. On June 7, 2018, CME Programme co-hosted between APSN and Japanese Society of Nephrology (JSN) in Niigata. We have 60 participants from 13 Asian Pacific countries and regions (Bangladesh, Indonesia, India, Malaysia, Pakistan, Thailand, Sri Lanka, Mongolia, China, Hong Kong, Taiwan, Korea and Japan). Topics of lectures include CKD-MBD, renal anemia and educational, case-based presentations on electrolyte disorder and renal transplantation. Hong Kong) were sponsored to attend the course. A broad range of topics were covered over 2 days in the fields of CKD, ESKD and transplantation, AKI, genetics and research methodology. On Sept 29, 2018, an APSN CME meeting was co-organised with Hong Kong Society of Nephrology and Hong Kong College of Physicians. 103 participants attended the Meeting. 23 trainees from 12 countries (Cambodia, Guangxi of China, India, Indonesia, Malaysia, Myanmar, the Philippines, Sri Lanka, Thailand, Vietnam and Australia) were supported by APSN and HKSN. Among the speakers are current Presidents of APSN (Philip Li), ASN (Mark Okusa), ERA-EDTA (Carmine Zoccali), CSN (Xueqing Yu) and HKSN (Sydney Tang). APSN together with the five Societies will continue to support trainees and fellows to attend these APSN CME courses. Notably for WCN Melbourne 2019 meeting, APSN will support 20 travel grants for young nephrologists to attend. All our APSN members are encouraged to participate and share. I thank all the five Societies and all the CME speakers for your contributions towards these successful events. We will make use of our APSN website to promote more of our CME activity in the Region to all the members and trainees. Our official Journal Nephrology is one of the most important assets of the Society, which helps to promote the education and knowledge of nephrology and for a communication channel across the Asian Pacific region and the world. Prof Sydney Tang, our Editor-in-Chief, together with the whole Editorial Board have produced a high quality journal attracting clinical and basic research papers in renal medicine. The Impact factor has gone up to 2.17. Change in subject editors including involvement of International academics was made to broaden global awareness of the journal. In 2017, 5,895 institutions offered access to the latest contents in Nephrology via either a Wiley License or a traditional (title-by-title) subscription. Our philanthropic initiatives extended low-cost or free access to current content to 7,669 developing world institutions. The Journal is now On-line only and on-line access for all members of all APSN Societies is now available, either through the APSN website (Members Only area) or via local society websites. 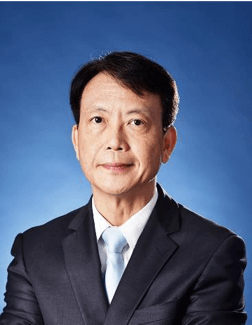 Prof CC Szeto (Hong Kong) has helped the Society to form a group to study the current gaps in the clinical practice guidelines for the Asian Pacific region, notably in the good clinical practice despite resource limitations in the LIC and LMIC in the region. The first Asian Pacific Clinical Practice Recommendation will be on "Evaluation and management of diabetic nephropathy" under a group comprising 14 members with good mix between LMIC and HIC countries as led by Dr Adrian Liew. APSN will commission an Evidence Review Team to facilitate the work. Asian Pacific Society of Nephrology (APSN) partner with Asia Pacific Society of Hypertension (APSH), Asia-Pacific Society for Digestive Endoscopy (APSDE), Asian Pacific Association of Gastroenterology (APAGE), Asia Pacific League of Associate for Rheumatology (APLAR) and Pulse of Asia (PoA) in formulating a "Joint Position Statement on Safe Use of Anti-inflammatory Analgesics". Professors CC Szeto, Gopesh Modi, and Kriengsak Vareesangthip represent the APSN. Work is in progress and expect to publish the finalized Joint Position Statement in mid-2019. WCN-APCN Melbourne April 12-15, 2019. World Congress of Nephrology (WCN) 2019 is an ISN-ANZSN-APSN Meeting. Prof Peter Kerr is the Local Organising Chair. There will be an ISN Global Kidney Policy Forum, with focus on Oceania and South East Asia region. APSN is partner to this Forum to share strategies for prevention and improved management of the disease both at the regional and global level. As highlighted above, APSN will support 20 travels grants to young nephrologists in the region. 2019 will also be the 40th anniversary for APCN (Inaugural Meeting of APCN was in Tokyo 1979). APSN will have a celebration dinner organised to commemorate the anniversary in Melbourne. Starting 2020, Asian Pacific Congress of Nephrology (APCN) will be an annual event. It will be co-hosted by a local Nephrology Society partnering with APSN. It will be a WCN-APCN event in the year that WCN comes to AP region. This will help to enhance education in the region, in the light that AP region is the fastest growing region for care of CKD and ESRD patients. Also it will allow APCN to go to more countries, developing and developed alike. This Congress was organised by Taiwan Society of Nephrology and CRRT. APSN was a Co-Organiser. This was very well attended with participants from around the region. In the recent 2nd Asian Pacific AKI CRRT meeting in Taipei in Sept, 2018, I called a meeting with a group of nephrologists and plan for forming an APSN AKI Committee. The Committee aims to facilitate measures to achieve better recognition of AKI, including increasing public awareness and establishing preventive strategies in communities, and educate healthcare practitioners to provide better treatment of AKI in Asia. APSN AKI Committee was formed with Prof Zoltan Endre as Chair, Dr Li Yang as Vice Chair and Dr Jinn Yang Chen as Secretary. Prof Philip Li as Advisor. 1. 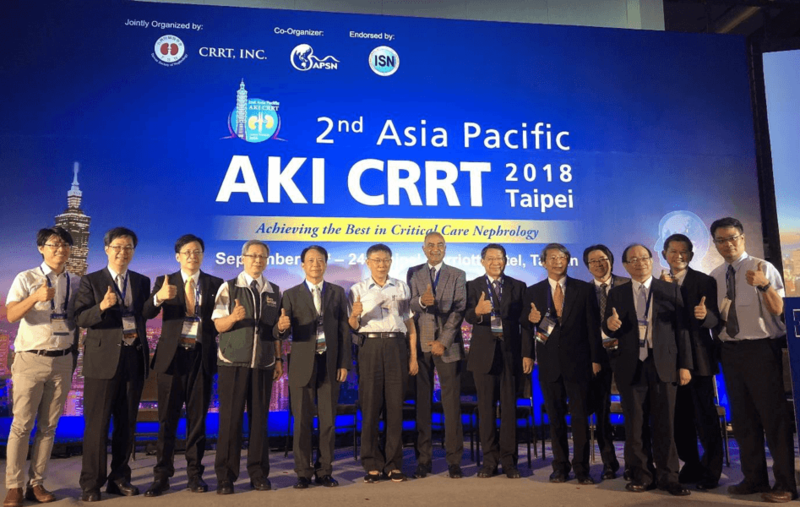 APSN will partner with Malaysian Society of Nephrology and CRRT as Co- Organizer for the 3rd Asian Pacific AKI CRRT to be held in Malaysia in Oct 2019. 2. The AKI Committee will organize a study on AKI incidence in rural hospitals in Asian Pacific region, probably pilot in Australia, Malaysia, Taiwan and Thailand. I have started the APSN YNC with the following objectives: To encourage engagement and participation of young nephrologists in all aspects of the Society; To address the needs of young fellows in both developed and developing countries by providing feedback to the Society; To promote the personal development of young nephrologists in terms of leadership and scientific knowledge; To facilitate collaboration of research and clinical trials between countries in Asian-Pacific region; To support the Continuing Medical Education (CME) course by providing opinion to the CME committee about the interests of young nephrologists and the educational needs of trainees. A Young Nephrologist Retreat was organised in Hong Kong on September 29, 2018 tying in with the APSN HKSN CME. The Retreat was attended by 9 young nephrologists from Asian Pacific region (Hong Kong. Thailand, Fiji, Bangladesh, Cambodia, Korea, Brunei, Japan and Australia). APSN President, President Elect, Treasurer, CME Chair and Editor also participated in the discussion, focussing on how to support the Young Nephrologists in education, training and other aspects. The Chair of Young Nephrologists Committee is Dr Jack Ng (Hong Kong), Secretary Dr Kornchanok Vareesangthip (Thailand) and IT coordinator is Dr Amrish Krishnan (Fiji). The YNC now has 12 members coming from (Australia, Bangladesh, Brunei, Cambodia, China, Fiji, Hong Kong, India, Japan, Korea, Taiwan and Thailand). All the Young Nephrologist members are nominated by their Societies respectively. APSN continues to have good partnership with ISN on the various collaborative projects including the fellowships, sister centre initiatives, CME, educational ambassadors, research projects and the on-going support for the region including the 0 by 25 initiatives. These APSN-ISN activities are very important and also welcome by the nephrologists in the AP region and have trained up quite a large number of renal doctors. APSN will continue to put in a lot of financial and human resources for capacity building in the Asian Pacific region. APSN continues to support the AFCKDI. The next meeting of AFCKDI will be held in Hanoi, Vietnam Nov 28, 2018. Dr Ha Phan Hai An from Vietnam will be the Local Organiser. APSN has committed to provide financial support and also speakers to this meeting. I thank Dr Yusuke Tsukamoto and his team for their efforts in such initiatives in the region. In 2015, APSN together with ISN, The George Institute for Global Health, the Farrell Family Foundation jointly established the Affordable Dialysis Prize. The world needs a dialysis system that runs off batteries and solar power, can purify water from any source, with a low price and running costs, but still as safe and effective as the standard set-up. The Affordable Dialysis Prize of USD 100,000 was set up to award such innovation. In 2016, the Award was made to Vincent Garvey, a retired British engineer who has no background in kidney disease. His solution makes cheap sterile water in places where the electricity supply is unreliable and the water supply may be contaminated. Using a standard solar panel, the machine heats local water to make steam, which sterilises fluid to fill peritoneal dialysis bags. Prof John Knight from George Institute recently updated the APSN ExCo and Council members in San Diego on the project as it is now in prototype development with patents registered and a plan to have the device in clinical trials by 2021. APSN is proud to be part of the whole process in finding innovative affordable dialysis, especially to support the developing countries in Asian Pacific region in future. In May 17-20, 2018, I attended Korean Society of Nephrology Annual Meeting, Seoul to deliver a message from APSN in the Opening Ceremony. I also attended, on behalf of APSN, the 2018 International Forum of Kidney Organizations in San Diego on 24th Oct, 2018 as co-facilitated by the American Society of Nephrology (ASN), European Renal Association-European Dialysis and Transplant Association (ERA-EDTA), and International Society of Nephrology (ISN) discussing data on kidney disease pandemic, global nephrology workforce and some ethical issues. The Annual Academic Sessions of Sri Lanka Society of Nephrology (SLSON) will be held this year in collaboration with APSN on 9th November 2018 and I am invited to deliver a key note address: "Asian Pacific Nephrology - APSN perspectives". APSN currently runs a very healthy financial status. The APSN Executive and Council constantly look into revenue generation as well as wisely spending of the resources in supporting the region to provide capacity building to our Renal healthcare professionals and a better care to our renal patients. On behalf of all the Executive, Council and Committees, I would like to once again thank all of you as APSN members who have supported our initiatives and we do further rely on you to contribute to the APSN development now and in future. I myself would like to thank all the Office Bearers, Executives and Council Members in their hard work and relentless support.